Happy New Year everyone! Welcome to 2019! We hope you had a beautiful holiday season and that you carved out some time for yourself in the midst of all the Christmas craziness. “I am going to stop X and Y and do more of Z instead”. Sounds familiar? That’s because we’ve all done it: we set NY resolutions… and (let’s be honest) we don’t always follow through. 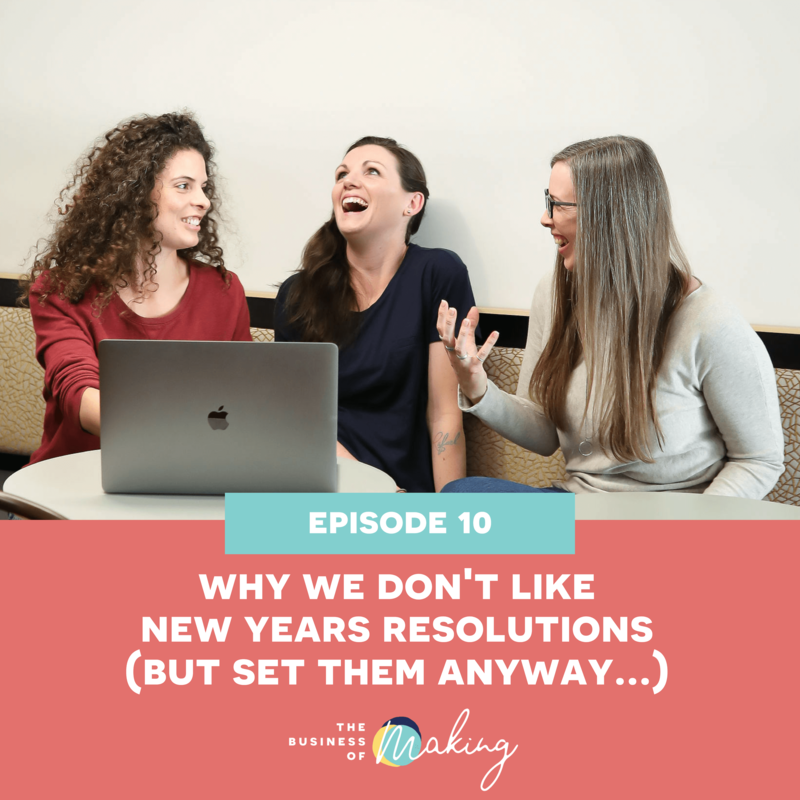 In this week’s episode of the Business of Making Podcast, we talk about Why We Don’t Like New Years Resolutions (but set them anyway). Enjoy and when you’re done listening, make sure to join us in our free Facebook community, and let us know: what do you think of NY resolutions? Are you setting any? It’s that time of the year again! Have you made your New Year’s resolutions? When was the last time you succeeding in making your resolution a reality? Making our personal resolutions and keeping ourselves accountable.